The champagne and dessert bar is set for our bridal shower guests, with a colorful bouquet, rock candy stirrers, petite macrons, and cupcakes! 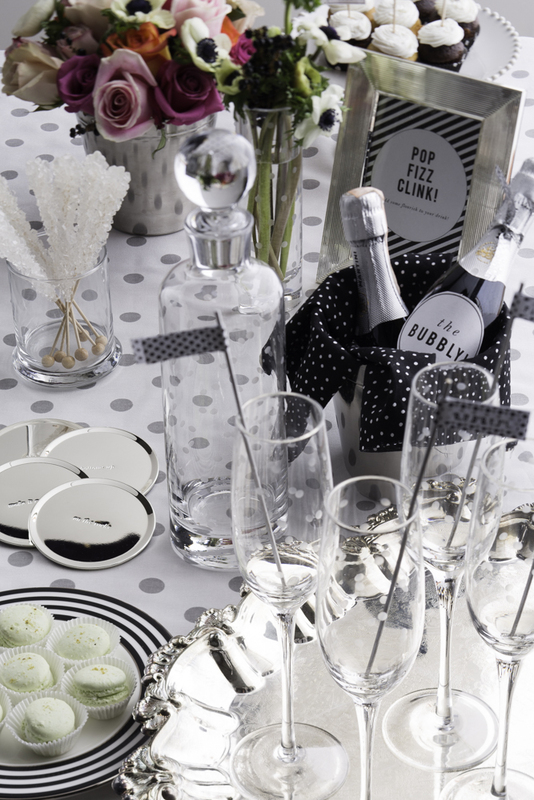 The Larabee Dot champagne glasses, vases, and decanter, Parker Place plates, and fun sayings on the Silver Street coasters, make this a kate spade new york themed bridal shower party! And guess what? You’re invited! Fun dots, bold stripes, spirited sayings, and pops of color everywhere! Is there any designer name more synonymous with a fun, festive, lifestyle than kate spade new york? I think not! 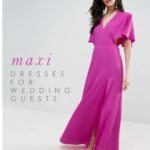 And what better way to celebrate a fun life event like a bridal shower than to infuse it with the classic-meets-modern stylings of this brand? 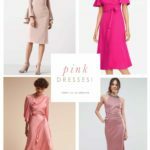 Well, my friends, you can imagine how excited I was when I was offered a chance to collaborate with kate spade new york to compile these ideas for styling a bridal shower with gorgeous pieces they provided from their home collection. My thanks to kate spade new york for this amazing collaboration, and to Brian Donnelly for beautifully capturing these bridal shower vignettes. I’ve had a few friends get engaged over the holidays, and I’ve found myself really looking forward to their engagement parties, bridal showers, and all the celebrations that come with a wedding. 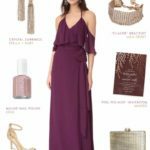 If you have an engaged friend who is obsessed with all things kate spade new york, what better plan than to throw her a kate spade new york-themed bridal shower? 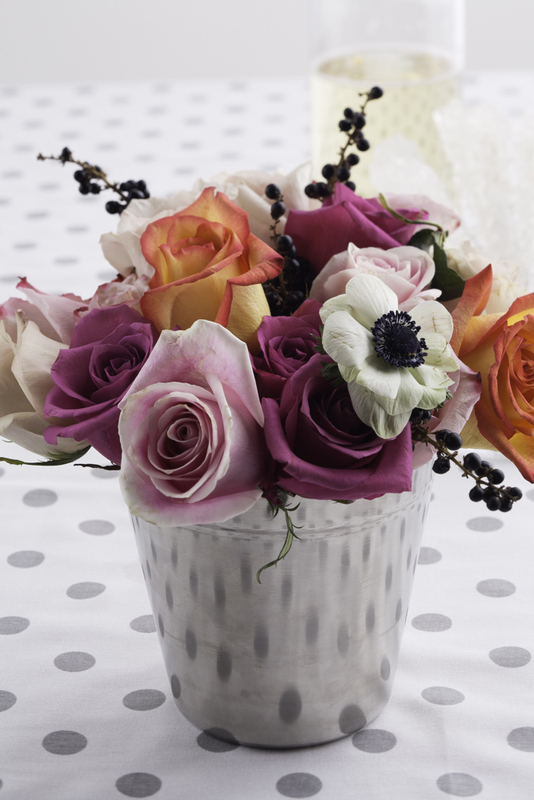 To really make the bride’s day, you’ll want to pick up a few things for her registry as well! My bridal shower tablescape inspiration started with this beautiful Parker Place 5-piece place setting from the kate spade new york fine china collection. 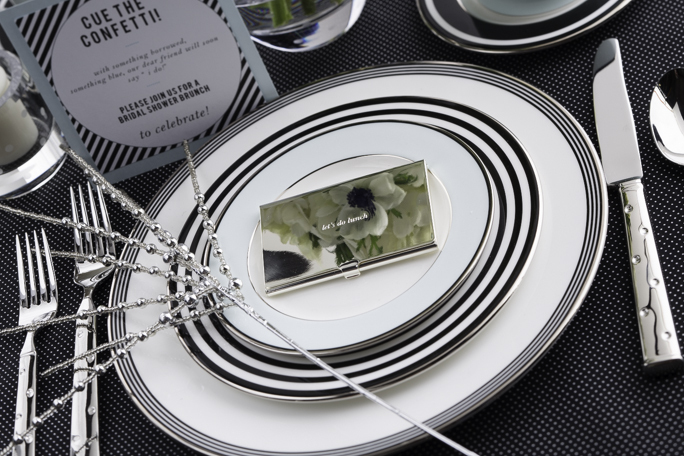 I love it because it reflects the quintessential kate spade new york aesthetic with its bold striped pattern, but it also is a classic table setting that would be perfect for any bride whose tastes range from the traditional to modern. The mix-and-match look of a layered tablescape is really popular now, and this set has a black and white stripe and solid pale blue pattern that makes it easy to create that effortlessly layered style in a way that’s suitable for everything from casual get-togethers to formal dinner parties. I believe a china pattern should work for everything from take-out to grand holiday gatherings for the whole family, and this collection is a perfect example of that! The black, white, soft blue, and platinum details of this setting inspired everything for this shower style from the invitations and menu to the tabletop decor. I wanted this bridal shower to look like it was being held in a posh New York City penthouse, with a bit of an Art Deco vibe thrown in. 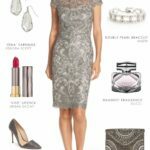 Styling for a bridal shower doesn’t have to be all pinks and pastels. 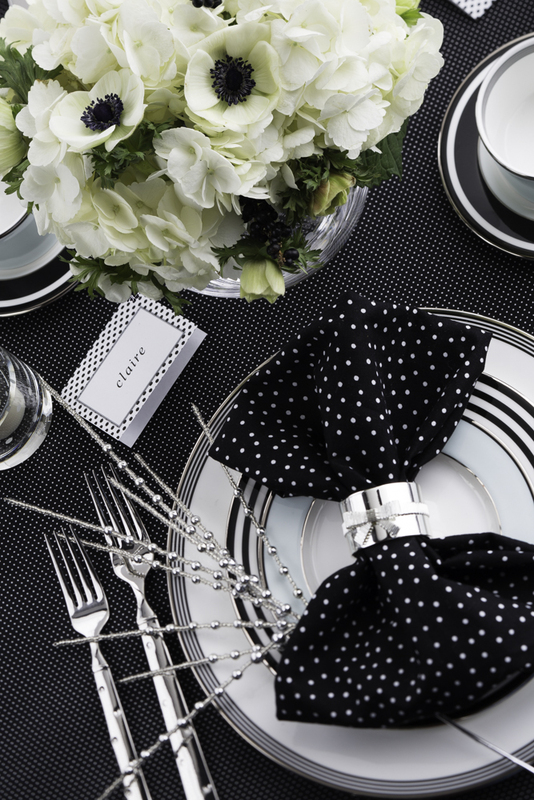 If it suits the bride’s taste, throw in some bold touches, and don’t ever be afraid of a sophisticated black and white palette. 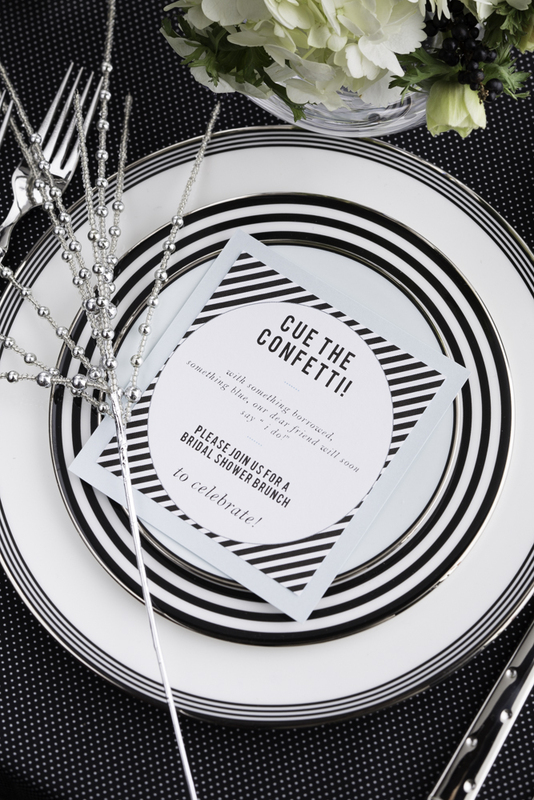 I wanted the invitation to reflect the cosmopolitan kate spade new york feel that the guests would experience when they attended the shower. 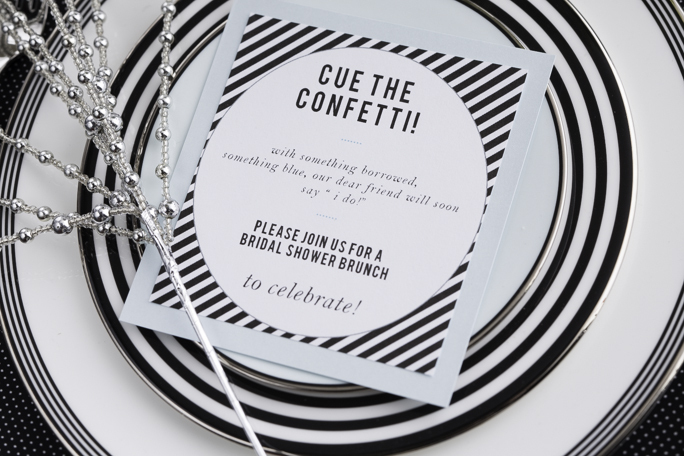 I pulled some of the wording for the invitation from the kate spade new york idiom bridal jewelry collection, which has been inscribed with great sayings all set in lower case like cue the confetti, i do, and something blue. 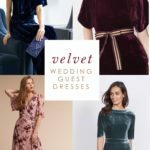 If you’re looking for the perfect gift for a bride-to-be friend, or a gift for bridesmaids I highly recommend these pieces! They will cherish them! I set the tabletop for an elegant mid-morning bridal brunch. The “cue the confetti” theme of the invitation is carried out in refined way with the dotted table cloth, dotted napkins, and the beautiful Larabee Dot flatware. 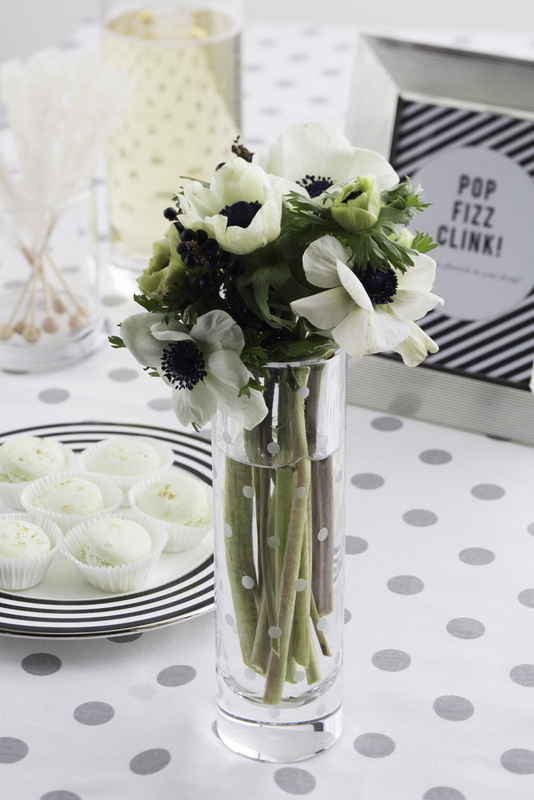 The anemones and hydrangeas added some floral pops of bold black and white to this look. I arranged them in a Larabee Dot vase, and placed some Larabee Dot votives below them — they really made the table elegant! Having a place card is a nice touch for a shower, not only to help guests find their seats, but to help guests who may not know each other remember each other’s names. 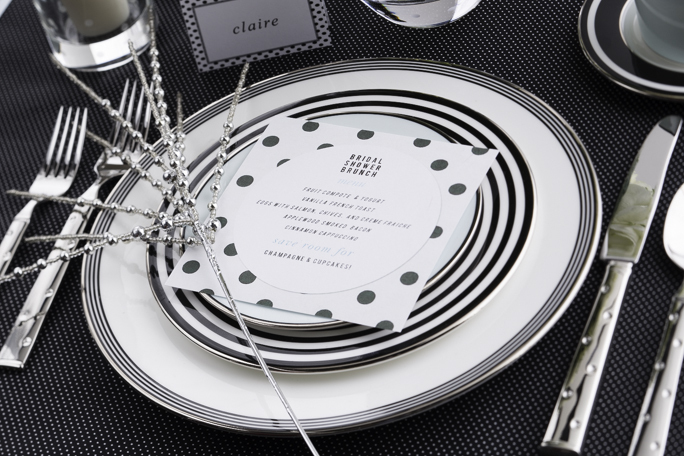 I created cards in a polka dot paper, which echoed the black and white stripe colors and the polka dotted theme. Each place-setting was garnished with a beaded sprig, just to add a little sparkle without going overboard. 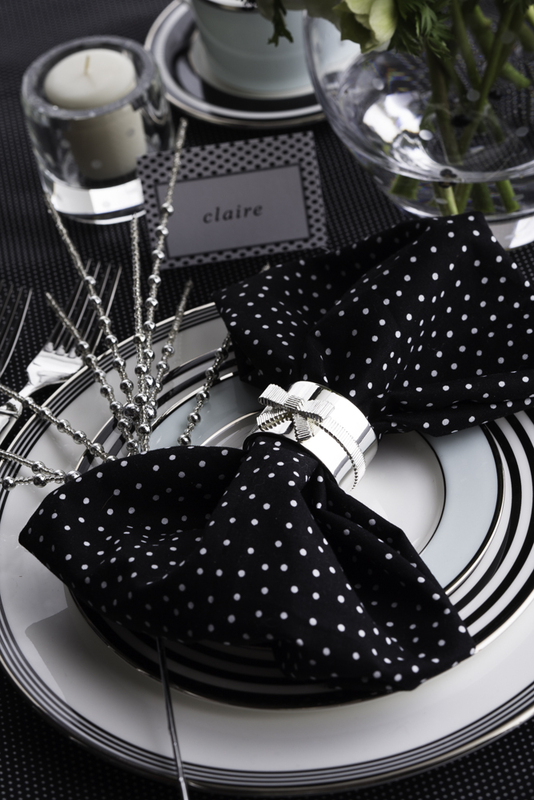 I added a little bow detail through the Grace Avenue napkin rings. I think they made the napkins look extra polished, and looked striking against the platinum accents on the plates. It’s fun not only to set the stage with a beautiful place setting, but also to create a printed menu to let your bridal guests know what delicious delights are in store. I had a bridal brunch for my own wedding shower, and I thought it was such a fun way to mingle with my friends over a great casual meal. My best friends and I spent many a Sunday brunch chatting about our lives, so it seemed like such a natural way to celebrate married life with a tasty menu of brunch offerings — followed by champagne, of course! As I mentioned, I love keepsake gifts for weddings and showers. The friend who hosted my bridal shower gave me a few, and I adore them. I thought this little let’s do lunch business card holder would be a great gift for the bride to serve as a memory of the brunch, but also a beautiful present that would get everyday use. Of course, the purpose of the shower is to help the bride furnish her new home. 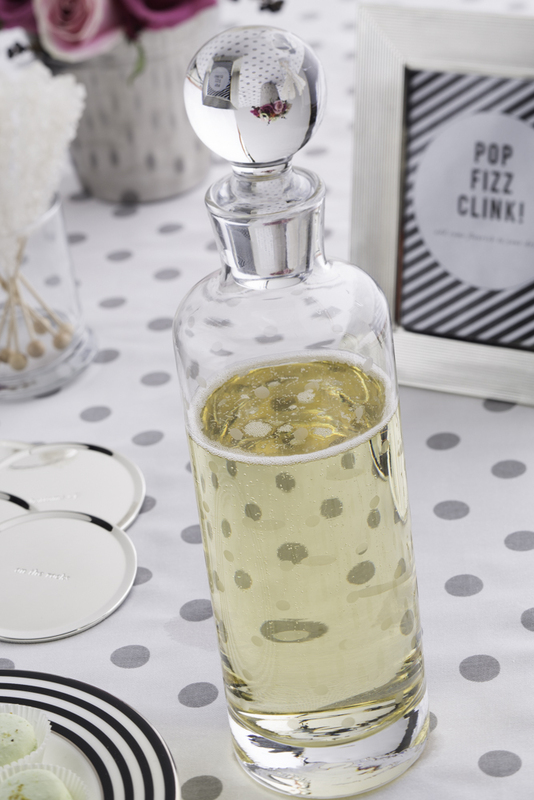 Truly so many pieces of the kate spade new york registry make perfect gifts and stylish home details. 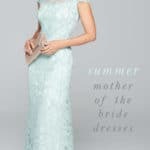 From the bright and whimsical styles that kate spade new york is known for, to the gorgeous modern casual dinnerware like Castle Peak , or the elegant china patterns like Signature Spade, Gardner Street, and Larabee Road, there really is a place setting for every style of table and every type of bride. 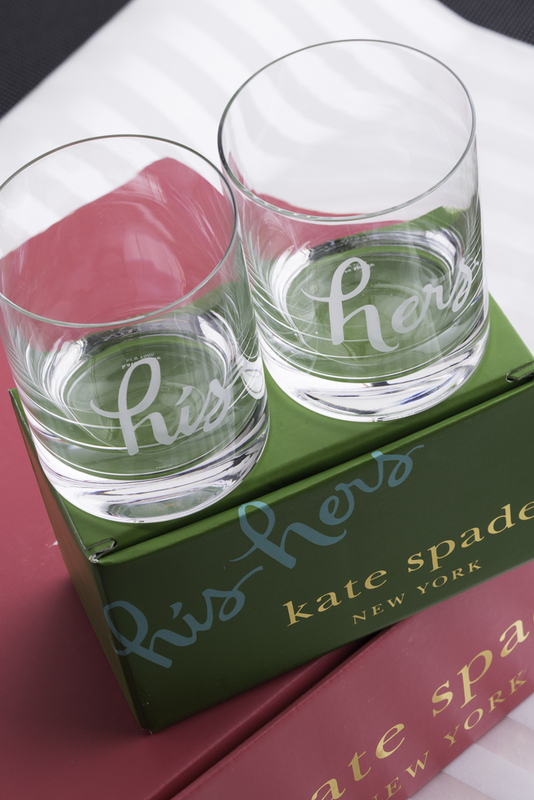 One of my favorite gifts to give a newly engaged couple is this set of his & hers double-old fashioned glasses. These glasses are sure to make them smile as they enjoy their drinks! 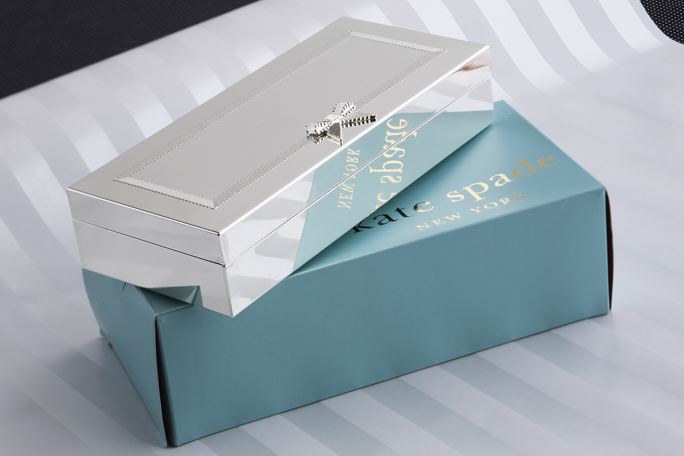 I also love the idea of giving a Grace Avenue silver box – it’s wonderful for storing jewelry and other special accessories in such a pretty way! See a similar silver gift here. After the all present opening, I’d imagine it would be fun to partake in champagne and cupcakes. (When isn’t it fun to partake in champagne and cupcakes?) I chose pink champagne, but you could also make up a mimosa bar with fun little add-ins. You could stock it with St. Germain, or black currant brandy for kir royales, and blackberry, pomegranate, mango, or peach juice, with raspberries, lemon twists, or candied ginger for garnishes. I also love adding a little rock candy in pink champagne — just a little touch like that makes it a glass of champagne that guests will remember! Pink bubbly looks great in these Larabee dot flutes, and I decanted the classic champagne into this very chic Larabee decanter. 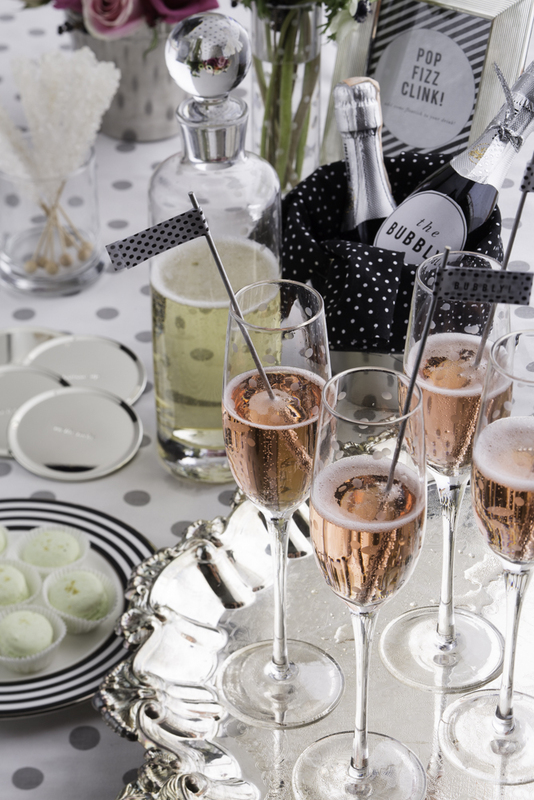 For the bridal shower champagne bar set-up, I wanted those classic pops of bright kate spade new york color in the floral arrangements, and more dots! Dainty macarons and floral details enhance the champagne bar with anemones in this Larabee Dot Vase. I also created a Pop, Fizz, Clink! bar sign which has become one of the many signature phrases associated with the kate spade new york lifestyle. See it here on the Emanuelle clutch — it’s great slogan for champagne sippers everywhere! To help keep the drinks with their rightful owners at a party like this, each guest can have their own Silver Street coaster each one is stamped with fun sayings like, “with a twist!”. One could even give them as bridal shower favors! 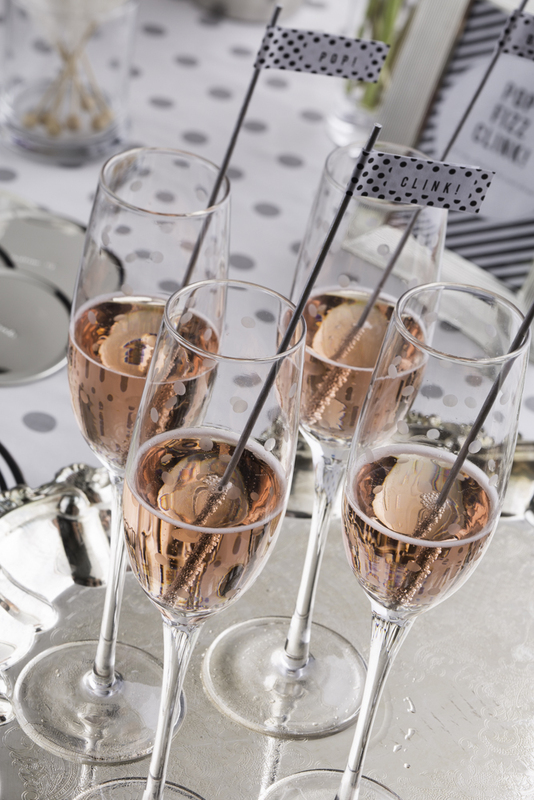 I also gave each glass a flagged drink stirrer with a Pop, Fizz, Clink, Cheers or Bubbly phrase on it. Did you know drink flags are more than just cute? 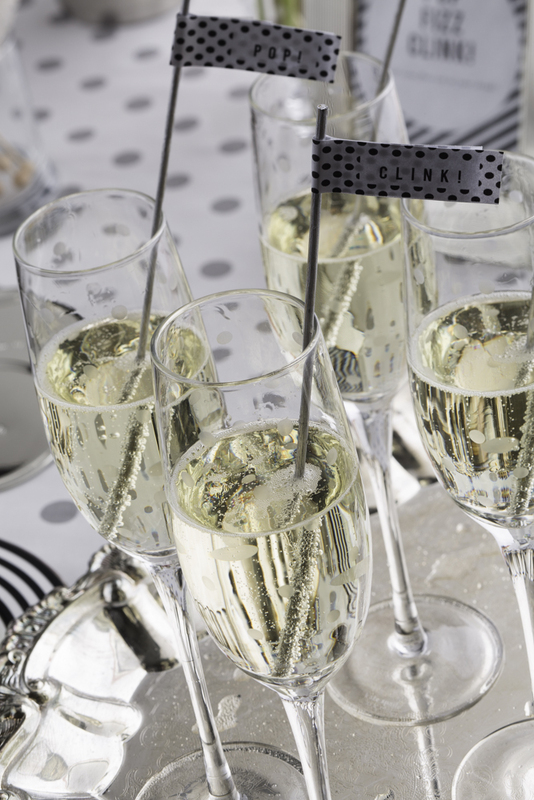 They help you keep your champagne bubbly with just a little stir! Even the cupcakes at this bridal shower are kate spade new york inspired! 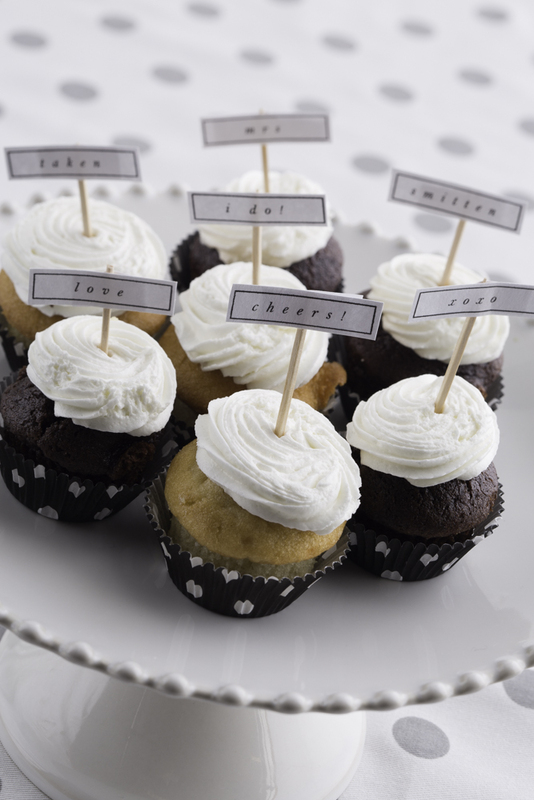 Taking a cue again from the idiom phrases from the kate spade new york bridal collection, I made little cupcake toppers with wedding themed phrases and wrapped them in polka dot paper. The perfect way to end the party with a fun treat! 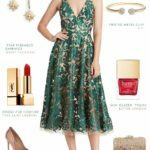 I hope this post has inspired you to host your own kate spade new york-themed shower, and if you’re a bride to be, to be sure to add some of these gorgeous kate spade new york pieces to your registry. I hope you’ve enjoyed attending this little bridal shower party as much as I enjoyed hosting it! Cheers! kate spade new york has sponsored this post, but all opinions and delight are purely my own! La Petite Patisserie for the beautiful macarons! Paper goods, florals, shoot concept and styling by Sukey at Dress for the Wedding. Flowers purchased through Splints and Daisies. This is the prettiest, sweetest, and most unique shower styling I’ve ever seen. It’s such a nice change from the pink and white you see everywhere else. Perfection! Oh no Sukey! This is gorgeous!! Such beautiful work you all did! This is so glam and sophisticated! Really impressive work my dear, I am in awe!! Such great stylistic ideas. Love the black and white! 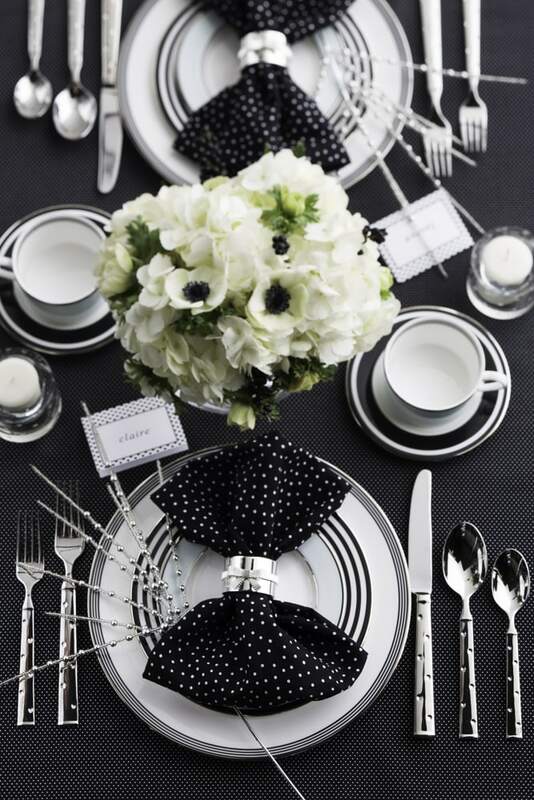 Sukey, this is so gorgeous, I love the polka dots and the ideas you have for decorating the table, just beautiful! Sweet styling! I’m loving all the stripes and spots! Such a gorgeous shoot – fabulous styling job!! The white anemones were the perfect flowers for this! Love it! Oh my! Such prettiness, we adore these lovely details and patterns! Thank you everyone for such kind comments! This was so exciting for me to work on and your support means the world to me! What beautiful images… “our” Claire is over-the-moon that her name appeared on your place cards. Your work is SO unique… Thank you for sharing your vision and inspiration! 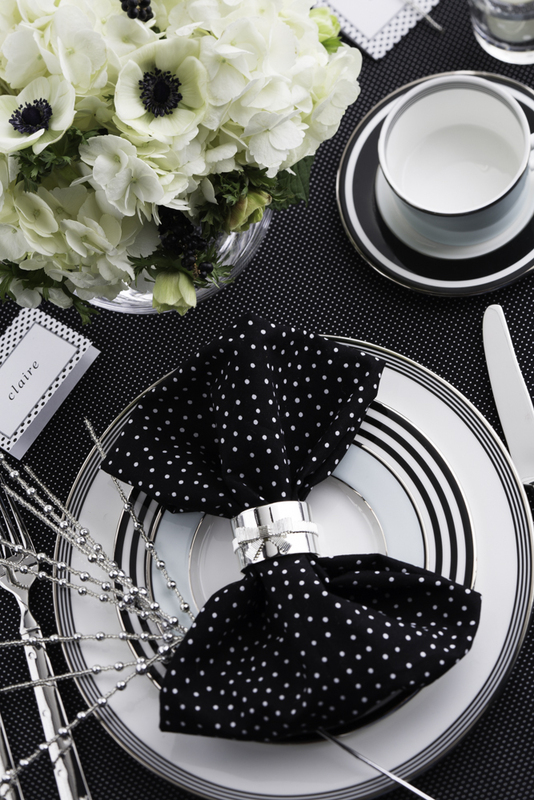 A black & white color palette is always classic and chic in my book, but I do love the mixture of dots and stripes! 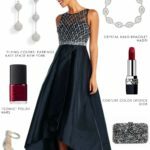 Eek, I am absolutely in LOVE with this entire look! It’s a match made in “Pattern Heaven” – obsessing over every detail!